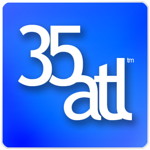 At 35 Atlanta, we strive to deliver exceptional photographs and an unbeatable photography experience to every client we have the honor of serving. We have worked diligently to built a solid reputation for excellence, and we are recognized as a leader in the new generation of wedding photographers. We attribute our continuous growth to the hard work and dedication of our team members, and referrals by our incredible clients and fellow industry professionals alike.